Multi-seed, fougasse and potato-rosemary loaves ready for Friday pick up by Kate Warner's bread subscribers. Lately I have been obsessed with bread — toast to be more accurate. Well, who am I kidding? It hasn’t just been lately; this problem has been going on for awhile. It all started when I decided to devote an entire chapter of my book Simple Green Suppers to toast. Ostensibly this toast chapter was another creative supper idea for vegetarians, but I think I really wanted to develop and sample the recipes. There was avocado toast (of course), Caesar salad toast, grilled vegetable and whipped feta toast, roasted butternut smash with cranberry citrus herb butter on whole wheat toast . . . and lots of tomato toasts. I had finally recovered from all that toast testing when, a few months ago, a friend asked me for a favor: Would I mind picking up his bread? Bread, freshly baked bread? Why sure! I asked him if he was certain he could trust me not to eat it before delivering it to him. I don’t think he realized the risk he was taking. But it was Friday afternoon, he was in a meeting and he didn’t have much choice. 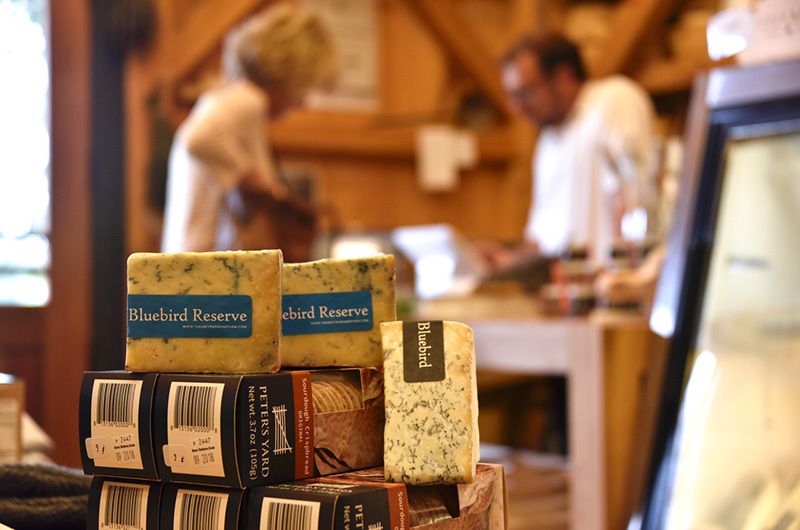 There are rules, after all, about picking up your bread from Kate Warner’s Vineyard Bread Project in West Tisbury. The deal is you show up between 3 p.m and 5 p.m on Friday afternoons to pick up the two or three loaves you’ve ordered. Just like a farmer harvesting a specific amount for a certain number of CSA (Community Supported Agriculture) customers, Kate has baked exactly the number of loaves ordered by subscribers plus any extras that occur naturally when, say, one batch of dough yields six multi-grain loaves but only five multigrain loaves have been ordered. That one extra loaf would be made available on Kate’s website as part of what she calls the spot market; you can log on and snag it if you’re paying attention. Subscribers are customers who’ve committed to a minimum of two loaves every week or every other week, year-round. On average, Kate bakes about 60 loaves a week. Kate, who was also the founder of the Vineyard Energy Project (her solar modules provide all the electricity, plus some, for her home and ovens) and an architect, doesn’t like waste, nor understandably, does she have freezer room to hold loaves that people might neglect to pick up. So this pick-up thing is a serious responsibility. Not only did he agree to this, but he encouraged me to sample the warm goods. “Just tug off a warm corner of fougasse or levain and share it with Farmer if you like,” he said. I’m hoping I can stretch out this pick up and delivery gig long enough to sample all 20 breads in Kate’s rotating repertoire. Most weeks the choices she offers include a multigrain loaf, a white loaf and a specialty loaf. “Though I have customers who’d be happy if all I made was bread with cheese in it!” she laughs. Those breads include a levain with Swiss, a Belain (so named because it’s Kenny Belain’s favorite) with cheddar, Parmigiano and jalapeno, and a fougasse with Parmigiano. There are many different kinds of preferments, but the important thing to know, Kate told me, is that the qualities of the artisan bread we all revere these days — complex flavor, interesting texture, impressive crusts — mostly come from a longer rising time, less yeast, and cooler water. Slow bread is good bread. 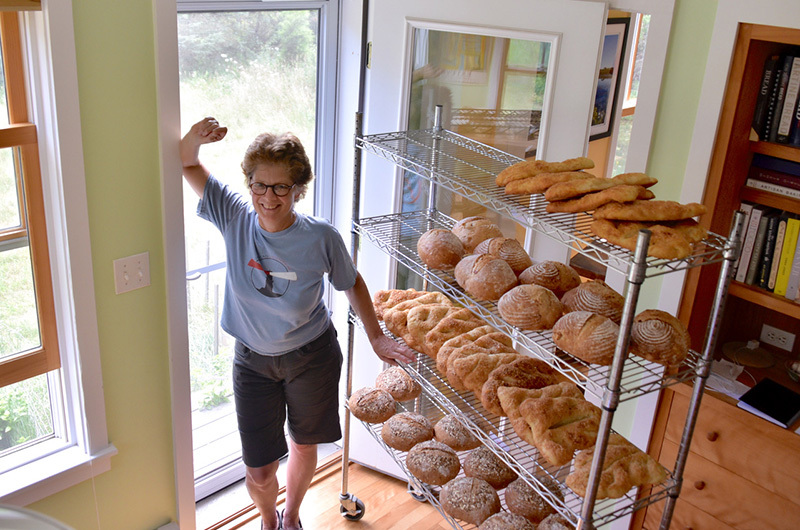 Kate is the only baker on the Island (to my knowledge) with a community supported bread program, but she isn’t the only one baking artisan bread. I’ve recently discovered that the excellent bread Leslie Hewson bakes for Beach Road and State Road restaurants is also available to go; you can pick up a loaf most days after 3 p.m. in the vestibule of Beach Road. 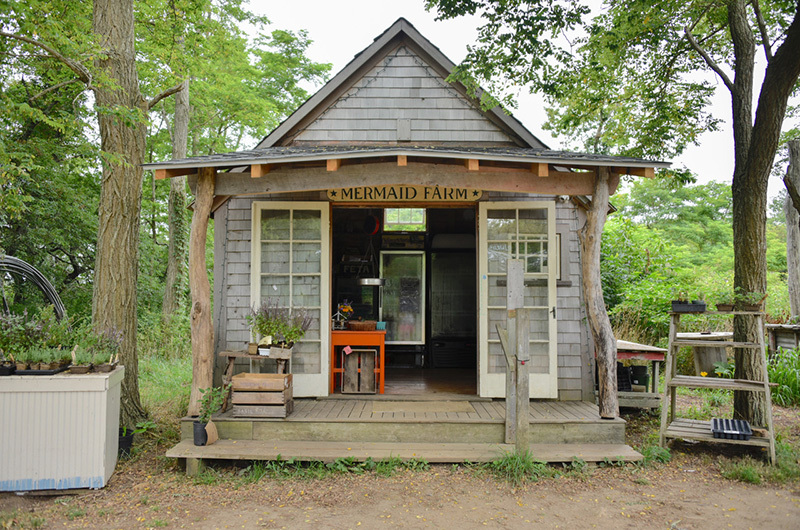 Olivia Pattison of Cinnamon Starship (interviewed in this column last year) has established a loyal following for both her bread and her open-faced sandwiches (as well as other baked goods), which you can find at the West Tisbury Farmers’ Market and the Larder in Vineyard Haven. At the Back Porch Larder in the Airport Business Park, Joe Keenan bakes daily loaves in addition to his pretzels and pizzas. 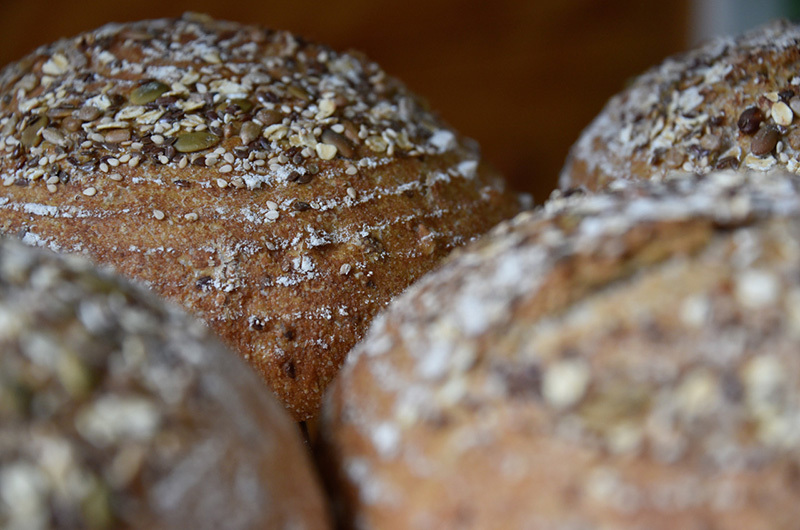 North Tisbury Farm and Market on State Road is now carrying the excellent bread that comes out of the super-hot ovens of Maison Villatte in Falmouth — not locally baked but definitely worth trying. When I get a hold of a good loaf of artisan bread, first I stare at it and admire its beauty (sometimes I even take a photo of it). Then I slice it up and freeze it. I freeze the slices, well-wrapped in plastic and put in zip-top freezer bags, so that I can take a few at a time to work or have them with (or for) dinner later in the week. Tip: Never put bread in the refrigerator, which will toughen it. Since I am toast-obsessed, most of those bread slices become toast. But never in a toaster, which can dry out the interior of the bread. Instead, I brush both sides of the bread with a little olive oil and put them on a tray under the broiler or directly on to the grates of a gas grill. About one to two minutes on both sides (flip with tongs), and the bread slices are golden and crisp on the outside but still softly chewy on the inside. This time of year I prowl farm stands for toast toppings — cheeses, vegetables, herbs, and of course the one vegetable that is in its own category: summer tomatoes. Some of my favorite toppings include Grey Barn Bluebird Reserve (spread on toast while still warm and topped with sautéed MV Mycological shiitakes); Mermaid Farm fromage (with basil and roasted cherry tomatoes, Ghost Island Farm beefsteaks, or bruschetta topping — see recipe); and Mermaid Farm feta (with grilled North Tabor Farm shishito peppers or roasted Morning Glory Japanese eggplants and mint). Grilled or roasted vegetables offer a great contrast to fresh or sharp cheeses, but quick-pickled vegetables are also a great toast topping. However you top your toast, it’s a fun and delicious challenge to keep it local. Recipe for Local Toasts and Peach Tomato Bruschetta Topping.